Check out the newest addition to Firehouse Sweets. These adorable cake pops are a perfect dessert on the go. 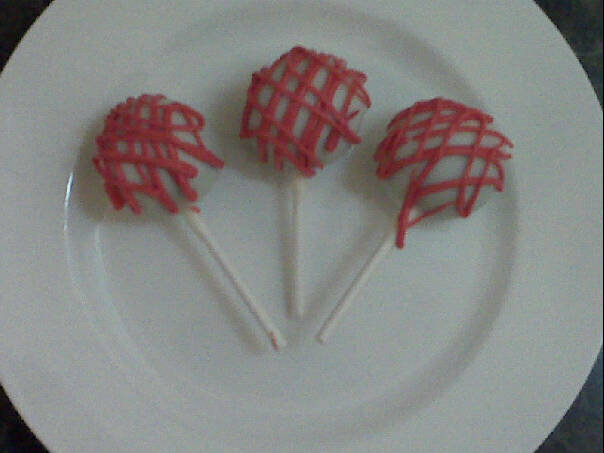 Cake Pops come in the same flavors as Cake Balls, but are individually wrapped as lolipops! These make adorable favors for parties, showers, and weddings! WOW! Time has flown by and it's time to place your Thanksgiving holiday order. There are so many yummy flavors to choose from. It's your chance to be creative and mix and match your flavors. Try some spice cake with caramel buttercream and then dipped in either white or milk chocolate! How about some chocolate, chocolate, chocolate for all of you chocolate lovers out there! Or my personal favorite - red velvet cake with cream cheese frosting and then dipped with white or milk chocolate! Email me at firehousesweets@gmail.com for a menu, pricing list, and order form!